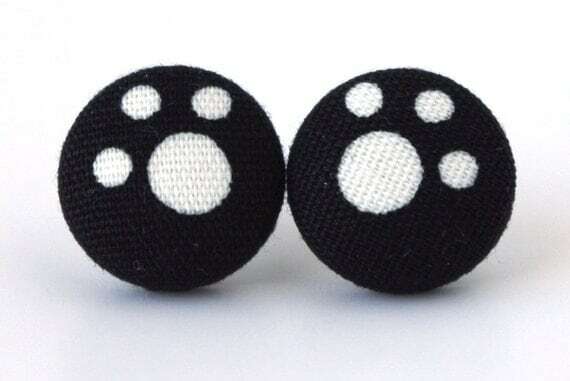 These handmade stud earrings in black with white paws are 5/8 inch (approximately 1,6 cm) big and very light. The earrings posts are made of surgical stainless steel. These button earrings are the perfect gift for your mother, sister, daughter or girlfriend and of course for all animal lovers. Special offer: FREE SHIPPING with another item!